Ready to play the latest 3D slots online?... Have you ever wondered what it would be like to be part of the Shogun in Ancient China. 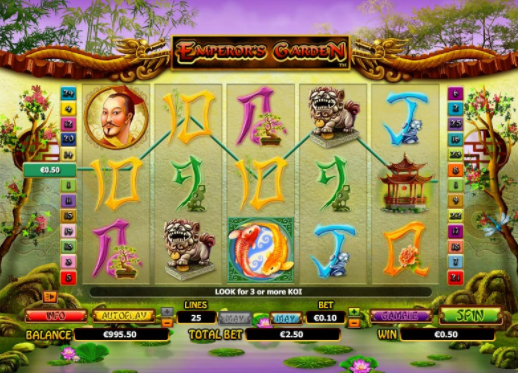 Emperor's garden gives you just that chance in this oriental 5 reel slot game favourite. Negotiate your way through dragon statues and lotus flowers to match the winning combination and achieve legendary free spin status. Since their birth in 1999, NextGen has continued to push the envelope. At the forefront of the gaming industry, they are the proud pioneers of platform-independent content delivery. After two successful decades, they continue to create games to be enjoyed by the masses and without boundaries. Head to Wizard to choose and play on a long list of top slot games. The beauty, mystery and unique culture of old Japan is the chosen theme of many games and pastimes in the genre. 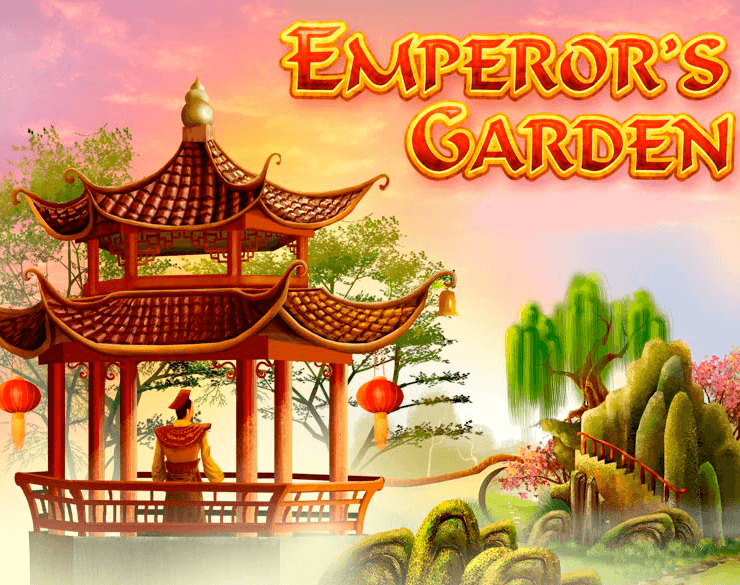 Despite this, the creators of Emperor's Garden (NextGen) have managed to create a fresh, original online slot that stands out in a crowded field. What are you waiting for? Grab the chance to experience the best online slots you can play now! Putting the gaming aspect front and centre has not deterred the creators from some diligent research and thought that has gone into the final product. The visual is simply beautiful. The sun finds a mystical land and we are at the edge of a pond, on which the main game sits. The reels are framed with carved dragons and typical greenery and plants that add plenty of colour and decor. Tiny insects scuttle around the pond rocks, the pond is topped with water flowers and dragonflies flutter on the greenery. While pretty to look at, there are no glaring colours. The reels are backed by a muted, olive green that makes it gentle on the eye and is in tune with the overall design and visual. The cheerful sound of bird song puts you there without distracting and is a good touch. Add the classic scroll like the font and exotic pipe tune and it's easy to lose yourself in this oriental theme. So the win options. The lively koi scatter is the symbol to watch. Three or more koi symbols anywhere triggers a free games feature. You can win an excellent 10 free games, during which Wild Garden prizes are tripled. The Wild Garden symbol makes the entire reel wild and can substitute for any symbol other than the koi. Scatter Koi pays any and the win is multiplied by the total wager stake. Within the mainframe, you will also notice a ‘Gamble' button. After a win of any kind it flashes and you are invited to wager your win via a playing card guessing game. This cool mini-game offers a chance to double your win choosing between red or black. Another choice, choose the right suit and you can quadruple your win! You are afforded up to five correct guesses, however, guess wrong, and it’s game over. Emperors Garden sets a seductive, ambient atmosphere. It provides gentle, stylish gameplay and is a very well done, well thought out slot. Polished and artful in its appearance, it is easy to note that it is a high-end play and is likely to entice return players looking for worthwhile payouts and something with a touch of class. Another tip-top game is mayan legends.